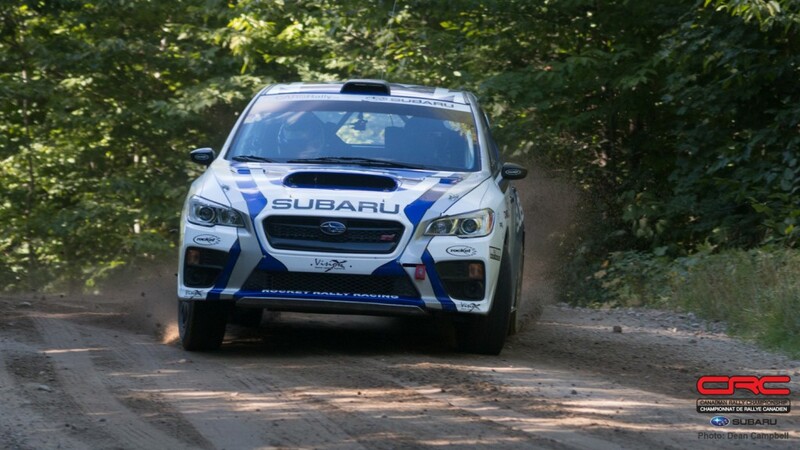 A series of unusual events has resulted in an unexpected first day at the 2016 Rallye Défi, the fourth round of the Canadian Rally Championship. André and René Leblanc lead the standings after the first day, with a margin of 33.7 seconds over the second placed team of David Nickel and Chris Kremer. Marc Bourassa and Daniel Paquette sit in third place a minute back of the leaders. Nickel arrived at Défi with a new car, built on the Subaru Crosstrek platform. The team spent a lot of time testing and tuning the performance of the car, and the effort has paid dividends. 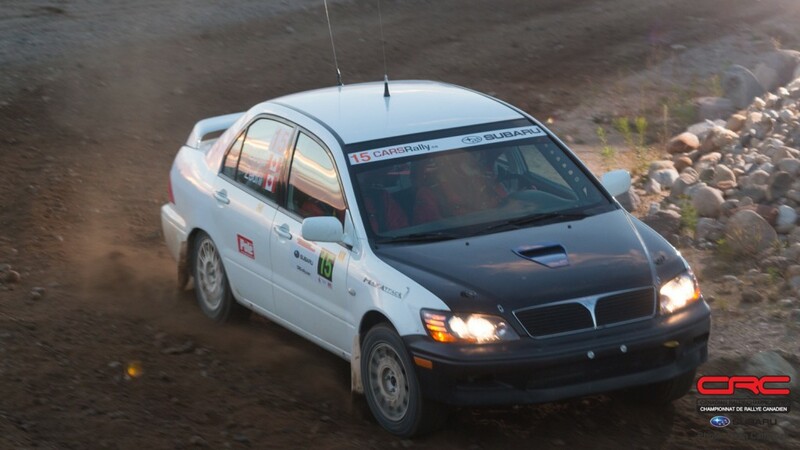 Marc Bourassa is a local favourite, but has had mixed fortunes at rallies in the past. 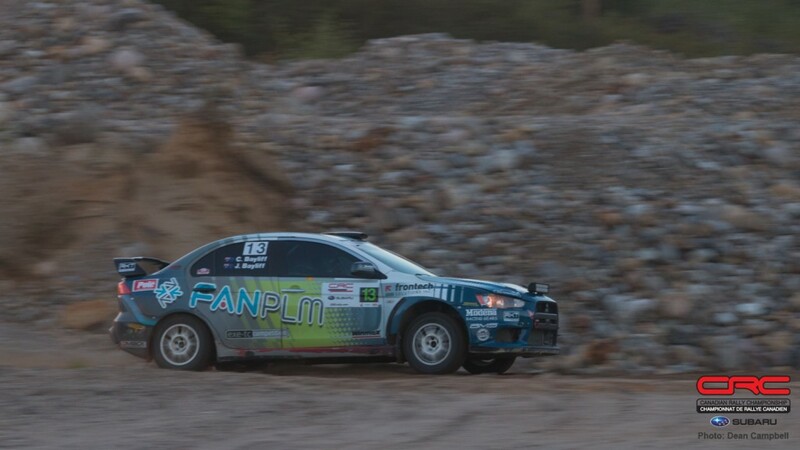 So far, the team have been performing well, though they had a close call on the St. Emile stage when they spun and slid off the road and between two trees. Aside from lost time, the off had no consequences. 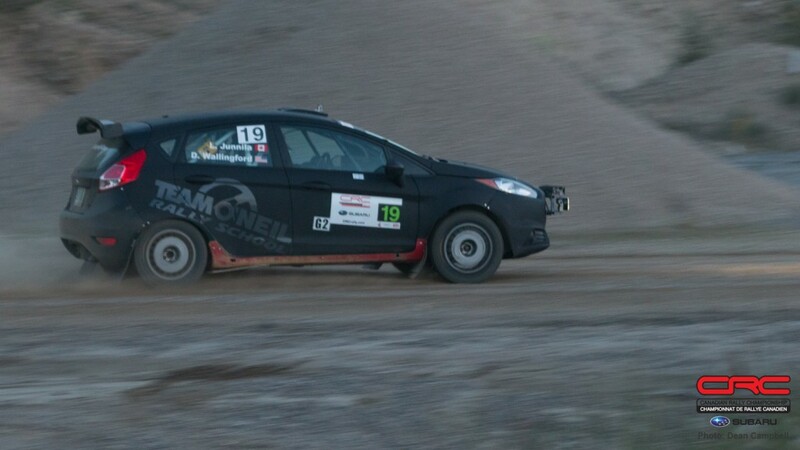 This trio of teams were able to stay clean and fast through the first five stages of the rally, while championship regulars struggled with technical problems. 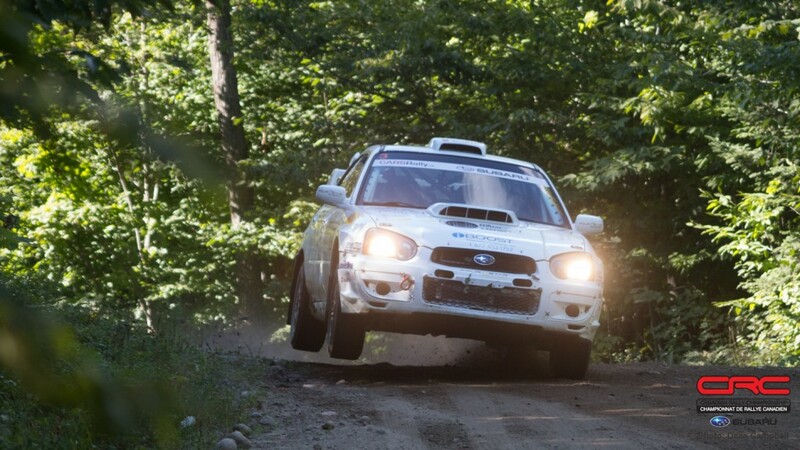 Antoine L’Estage and Darren Garrod of the Subaru Rally Team Canada were leading the event until transmission problems sidelined the car on the third stage of the rally. A damaged input shaft left the car with no gears at all, and while the team will restart for day two, they will do so with a large restart time penalty. Maxime Labrie and Anik Barette came into the event with Labrie leading the driver’s championship standings. However, the team suffered mechanical problems early in the event, and retired. It’s likely the pair will continue to lead the standings even after the DNF, depending on how their rivals perform on day two. 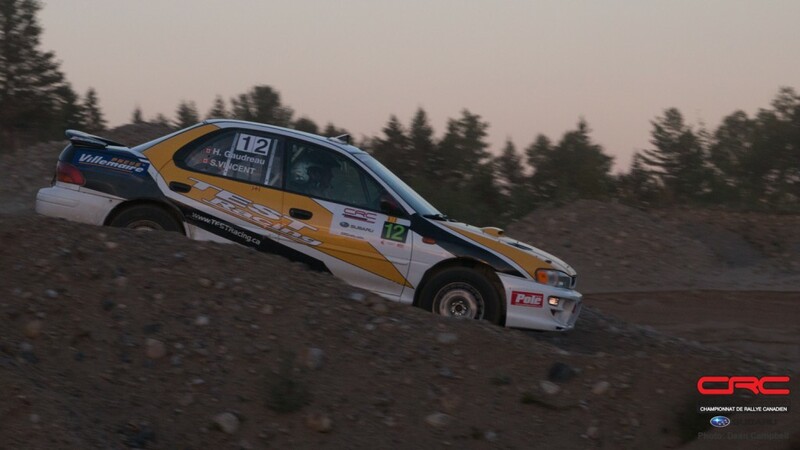 Boris Djordjevic and John Hall had problems but managed to struggle through every stage, though well off the pace. The pair are in last place heading into the overnight break. 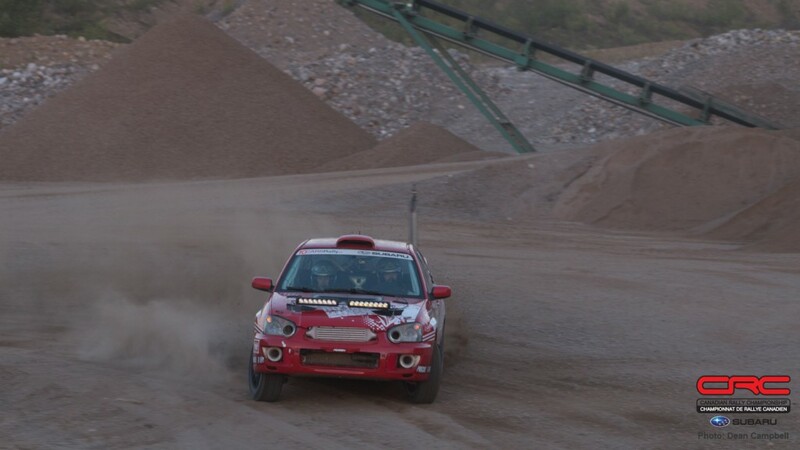 Chris Greenhouse and Brian Johnson are leading two wheel drive without having to take any major chances. 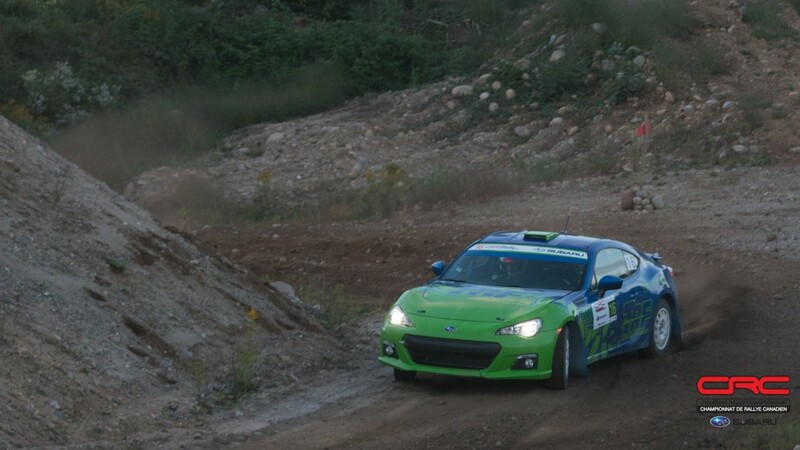 A few small issues cropped up through the five Friday stages, but nothing like the difficulties the team had at the Rallye Baie des Chaleurs two months ago. Jan and Jody Zedril looked fast in their efforts to keep up with the American team. However, the car driven by the brothers from Manitoba can’t match the power of Greenhouse’s car, and so far, the Zedrils have been unable to challenge for the class lead. 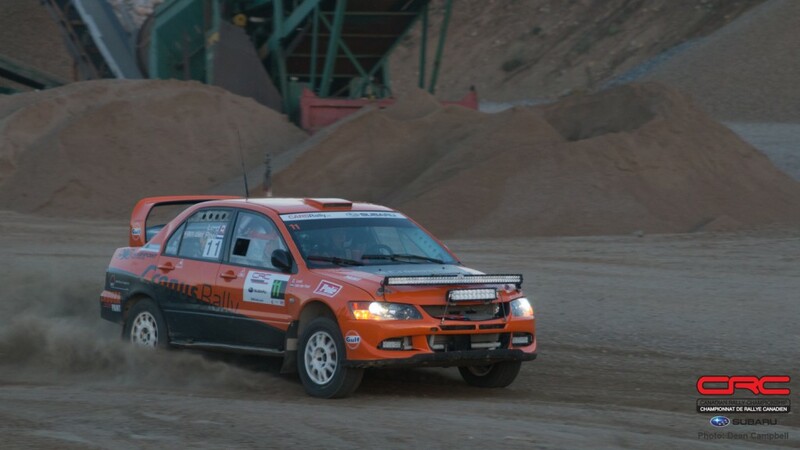 Delays early in the rally forced organizers to shorten the only service of the day, as well as cancelling the final special of the day, cutting the total stages from six to five. Tomorrow, teams face the bulk of the rally. For the top three teams, the goal will be to hold onto their podium positions and avoid any serious problems. L’Estage and Garrod will be on the push to make up as much time and as many positions as possible to gather championship points. With rain in the forecast, conditions are expected to be slippery, a stark change from today’s dry but relatively dust-free stages. Be sure to follow all of the action on social media @CRCRally and using #CRCRally.